Faux bob is so hot right now! From runways to red carpets, every stylish woman..
Faux bob is so hot right now! 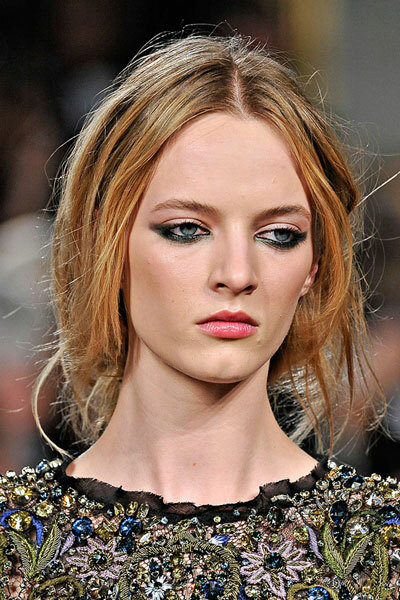 From runways to red carpets, every stylish woman is going crazy for Daria Strokous’ mock bob. Do you remember the tutorial we featured here on CFH? Allow us to refresh your memory by going here. Very rock ‘n roll chic! Still in your teen years? We’re begging you to try this co.. Very rock ‘n roll chic! Still in your teen years? We’re begging you to try this coif! Create a bold statement at the prom or your friend’s party by sporting this inverted braided updo. Flip your hair and ask a friend to start the French braid at your nape all the way to the crown. Roll the ends of your loose hair to the side then secure with pins. Make sure that a part of your roll is pulled down towards your forehead for a cool finish! Whether you’re going to walk down the red carpet or attending a formal dinner wit.. Whether you’re going to walk down the red carpet or attending a formal dinner with your company’s bigwigs, this elegant hairstyle will surely make onlookers stare! Prep hair with mousse then give it a good blowout after. Curl sections (2”) then roll them and pin at the roots. 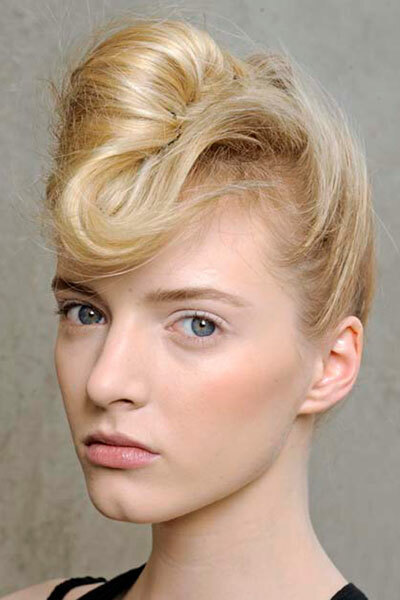 Once cooled, slightly finger comb your hair and twist it into a bun. Lift the crown and the front part using your fingers for some volume. Set with hairspray and you’re done! Gone are the days of the overly styled, stiff and pretty much solidified coif. Loos..
Gone are the days of the overly styled, stiff and pretty much solidified coif. Loose hairstyles with a more relaxed vibe are well accepted such as Daria Strokous’ messy low ponytail. If you’re hair doesn’t have natural waves, fake some by slightly curling them via an iron wand. Apply some texturizing spray and give the hair a good shake. Loosely gather hair into a low ponytail, leaving lots of hair to flow freely on the sides. Hot catwalk commodity and It Girl, Daria Strokous ethereal beauty is made daint.. Hot catwalk commodity and It Girl, Daria Strokous ethereal beauty is made dainty by a middle part super straight half up, half down hairstyle. To add a softer touch to the look, allow a few strands of hair to fall freely at the sides of the face.